So You’ve Been In An Accident? If you’ve been involved in an automobile accident in New Jersey, there are a number of things that you should do: some immediately, some the same day, and a few over the next few days. In this post, I will give you a list of the things that you should do, the information that you need to collect, and how to discuss an accident with your doctor. If you have been injured in the accident, get medical attention. If you hit your head, lost consciousness, or have cuts from the impact, go immediately to the hospital emergency department to get checked out. Once you have been released from emergency care or urgent care, contact a chiropractor and make an appointment to be evaluated. If you are coming to see us at North Jersey Whole Health Center, please click this link and print and fill out this questionnaire about the accident and bring it to your first appointment. 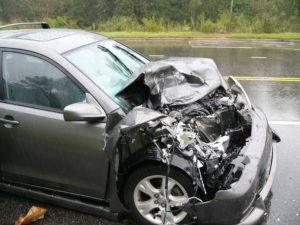 If you had damage to your vehicle, or you were injured, it is a good idea to contact a personal injury attorney. -Usually, your doctor can make a recommendation for an attorney, or you may have a referral from someone you know. Choosing an experienced attorney can make your life much easier after an injury.